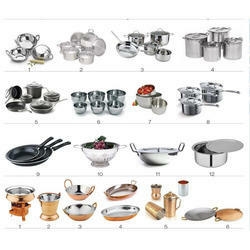 Our organization is engaged in supplying a wide array of Pot & Pan Sets to the clients. These products have been sourced from trusted market vendors, who use premium quality raw material and advanced methodologies to fabricate the entire range. 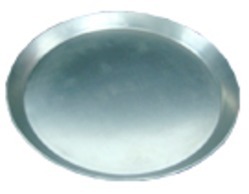 Base Diameter 6" to 20"
We are amongst the reputed manufacturers and suppliers of pots and pans in chennai. Our innovative DISH with Enamel and stylish DISH with Enamel are available in a wide range of designs and pieces. Used for frying to storage type pots & pans.